Erdschwalbe Vegan Protein Mix - Vanilla 500g. 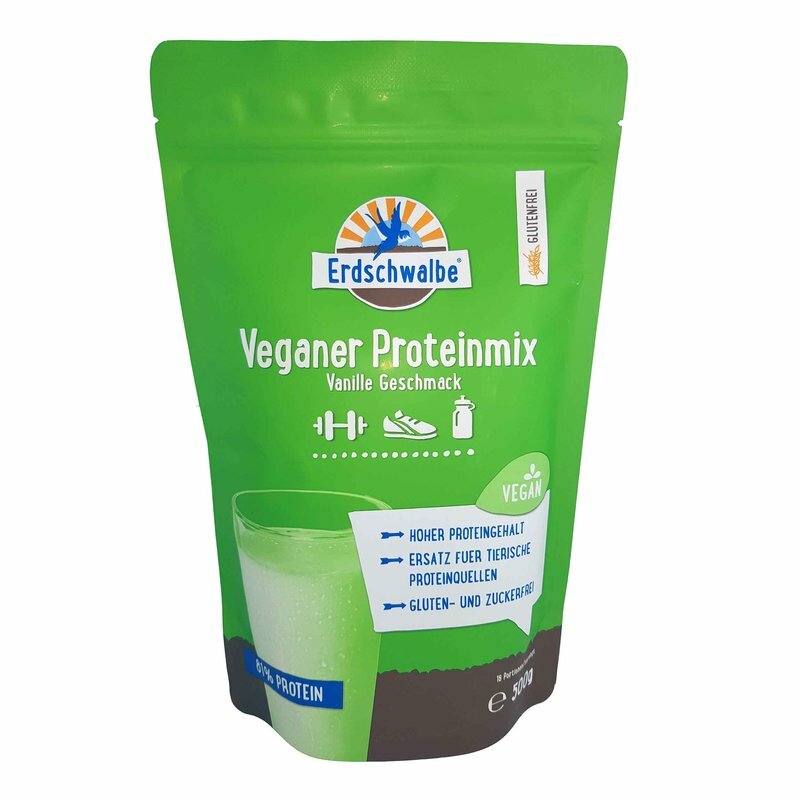 Ingredients: Proteinmix (Pea-, Rice-, Soy-, Hempprotein) 97%, Aroma (Vanilla), Sweetener Sucralose. Soy- and Hempprotein are from certified organic agriculture. - Vegan source of protein. - Ideal substitute for animal protein sources. Pour 250ml of liquid (water, fruit juice etc.) into a shaker. Add 30g, shake it, ready. 2-3 times a day or as needed. Product should be used within the scope of a diverse and well-balanced diet. Package contents ? net weight: 500g.